Rubio Long Snapping held it’s annual college camp for Long Snappers either currently in a four year university or those headed to one this fall. 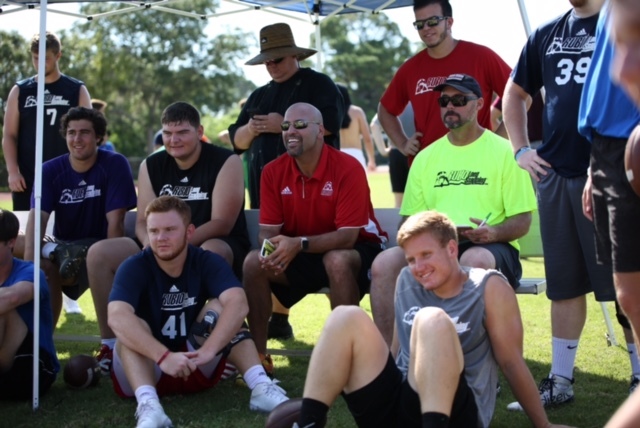 Long Snappers from all over the map came to Tampa, FL. to train with and against the best in the world of college football. The winner of the overall competition was Kyle Varnell of the University of Alabama-Birmingham. Kyle is a long athlete that moves very well on his feet. His ball is very smooth and catchable with excellent speed. Upside on Kyle is off the charts. He has a tremendous personality and is definitely the type of person that will be successful in whatever he chooses to do in life. Ryan Farr of the Florida Gators was on fire Saturday and Sunday in Tampa. His form is darn near perfect and he is snapping the ball with a lot of power and agression. The thicker and stronger he gets, the better his overall power will be as he moves towards the NFL. Steven Nixon of Mercer was excellent all weekend. 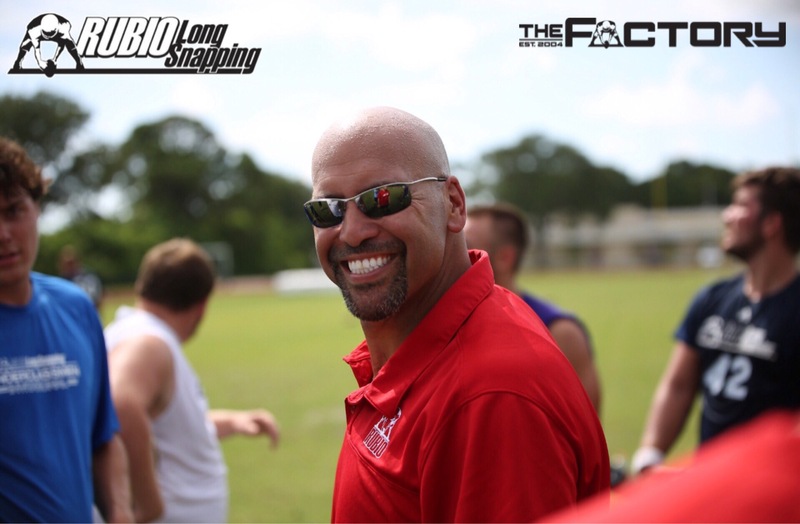 He is strong, built well, moves like an athlete and is extremely consistent with his snapping. Not uncommon for Nixon to snap the ball in the .6s and right on the punter’s hip. Great overall personality and a Long Snapper the next generation could look up to. Damon Johnson of USC (Southern Cal) was throwing absolute heat all weekend. Ball never even came close to .75 or higher. 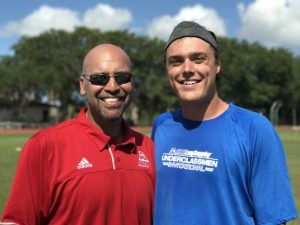 Damon is a very athletic Long Snapper that is driven to be the best in the country. Very powerful ball in short or long snaps. Anthony Ratliff of East Carolin University was solid from start to finish with very accurate and consistent snaps to the punters and holders. Physically fit Long Snapper with great form and a smooth snap. Logan Klusman of the Kansas Jayhawks was very sharp in Tampa. Body is maturing and he is snapping a very smooth and accurate ball. Ball can jump at the punter. The quicker his hands get at the start, the better he will be in the long run. Jonathan Scandrett of Florida International University was throwing some very fast snaps back on both days. Listens well and has good upside. Ball could sting a punter if they aren’t paying attention. Built very athletically and once he extends a bit more, his ball will be more accurate and even quicker. Peter Snodgrass of Northwestern looked extremely solid all weekend. Just heading into college and already looks like he has been snapping at the college level for years. Great upside and Snodgrass is definitely one to watch over the next couple of years. Ian Lauvai of Sacramento State had a great camp. Thick and strong Long Snapper that was snapping pearls non-stop to the punters. Big fan of his demeanor and how calm he is under pressure. Elias McMurry of Appalachian State is powerful and has done a great job transforming his body into that of a college athlete. When he gets his eyes through, he is as good as anyone in the country. 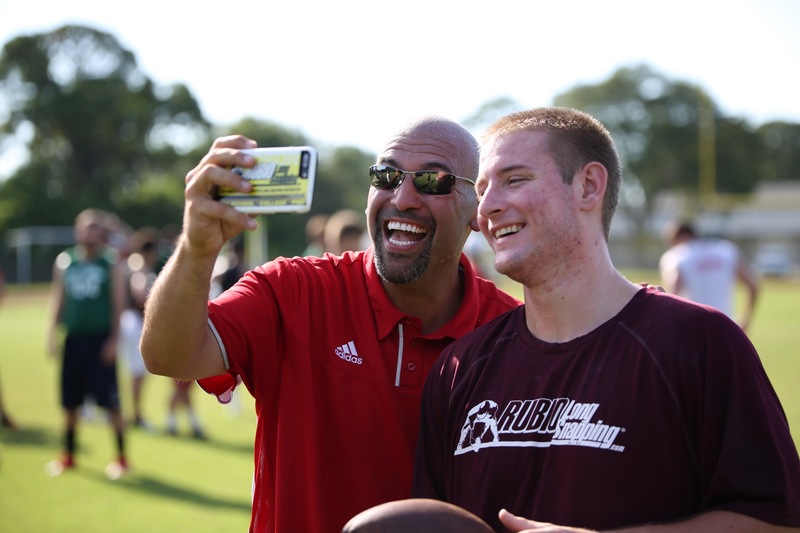 Grant Gustafson of Texas A&M probably had the most upside of any Long Snapper in attendance. 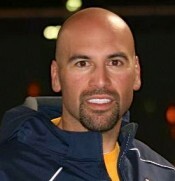 He also can play tight end and he definitely looks the part. NFL frame right now and he can snap an NFL ball when he just lets it go.